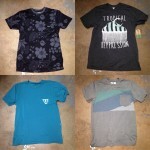 All new Vissla and more! Hey there everybody! We hope you’re having a great week! In this week’s update, we’re proud to announce that we’re one of the first retailers in the world to carry the all new brand Vissla! Check out the new styles, and come on by to pick ’em up! 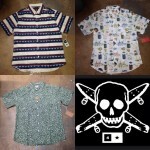 We also got in some new shirts from Four Star and Lost, some new Lakais, new rastaclats, and some new decks from Zoo York! So, don’t waste your time flossin’, and don’t embarass yourself, grab your buddies, and don’t be defective, get over here now! We’re proud to be one of the very first retailers to carry the all new brand Vissla! 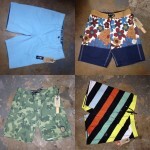 Here’s some of the brand new board shorts from Vissla’s first collection which is available now! 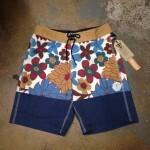 These are the Edison board shorts. Not only are these board shorts very stylish and functional, but they’re also made out of a polyester stretch material which is manufactured from recycled plastic bottles! 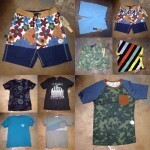 Need some shorts or boardshorts and want something fresh and new? Well, here ya go, the all new collection of boardshorts and shorts from Vissla which are available now! (From top left, clock wise: The No see ums 19″ twill, The Edison Board short, the the keel boardshlorts, and the stohk board shorts.) All boardshorts made with polyester made from recycled bottles. Can’t decide whether you want a camo shirt or a striped shirt!? Well, how about both of them on the same shirt!? 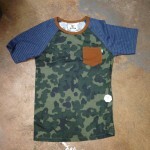 The Vissla Naut raglan combines them both perfectly! 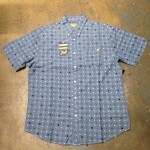 The Vissla collection which is now available at Surf Zone! We just got in some great new Four Star shirts! The Stillwater, The Koston, and Ishod! The sun has been blazin’ lately! 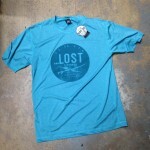 If you’re going to be out in the sun, use some protection like this surf shirt from lost! This shirt from “Lost” can help you “find” your own sense of style! 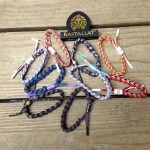 We just got in a bunch of new Rastaclats! 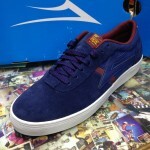 The Vincent by Lakai is a very solid vulcanized skate shoe, made to give you great board feel and durability. Brandon Biebel’s new signature shoe, the BB4 features that Lakai XLK cup sole technology to give you a very light weight shoe that provides great support and protection, while not sacrificing board feel. 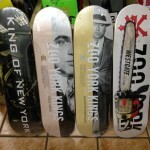 ALl new Zoo York decks! All made in the U.SA! All sizes 8.0″. 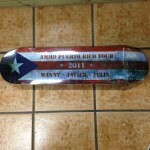 This is a very special edition Ammo deck from the 2011 tour which is signed by Manny Santiago! Made in the U.S.A! 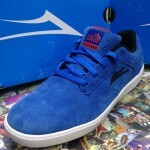 Size 8.0″. Locals only, bro! No kooks!